I broke down into two segments right here. There’s direct keyword and then there is long-tailed keywords for content marketing. Now, most of the video I’m going to talk about this, because this is where the bar sets in. This is not extra I would say. It is necessary in 2018 if you want to have a proper campaign. Without this, this doesn’t really make sense per se. Okay? Anyways, let me explain further. So first of all, for anybody who doesn’t have a clear definition. Keyword research is basically finding out phrases that homeowners around you are typing in when they’re looking for your services. This is on the first things you should do before starting to market your roofing company online. When they’re typing in roofing Bronx, New York. Finding those out is what we call keyword research basically, right? And there’s two things we’re looking for. One, what is it that homeowners are typing in when they’re looking for your services. And then two is, how many times does that phrase get typed in on a month to month basis. That way, if you have a good amount of keywords, and they have good amount of search volume, how many people are searching per month, we know that we’re setting our self to the right direction because if we are to be up there for most of the keywords, we’re going to be in front of people in the top position every single month when they are looking you’re your services. Alright. So that’s a pretty simplified definition for that and it should be simplified to use or simple. So having that said, let’s get into why I have broken these down into segments. The reason is because we have to look at keywords that we’re going for in sort of an angle from now on. Right? It’s not anymore just like one dimension, like okay we’re going for this keyword, best roofing contractor in Bronx. If you come up with that in, are you coming that up in the maps, are you coming up trying to come up for that in organic, what are you going for? Right? So I broke down these two segments, between maps and organic. Other than the obvious reasons such as maps gets over sixty five percent of the traffic for every local search. The reason why we aim for the direct keywords to rank in the maps is also because it’s getting exceedingly harder and harder to rank organically number one for the direct keywords. So for keywords like roofing Bronx, roofing contractors Bronx, roofing service Austin Texas. Direct keywords, right? Words that are variation of roof with your city is being dominated by other directories such as HomeAdvisor. And moving on Google is already showing signs that they’re going to be favoring this. They like HomeAdvisor being in the top because when somebody types in roofing contractors Bronx, they are shopping around. They’re not looking for just like one roofer. They are looking for multiple roofers. And this is a better service to the users where Google is giving that relevance to them. So right off the bat, they’re just other than the obvious reasons, there’s just so many extra reasons for us to go for the maps when it is direct keywords. HomeAdvisor is not allowed to be here. If they were to ever get a map listing in the Bronx and verify that and then try to attach it to this service page right here, people like me and other companies would sue them. Because it’s against Google’s rules, terms and services. Right? This is made for businesses, local businesses that are serving the community in a mile radius and a zip code. It is supposed to be local. It is supposed to be relevant to that area. HomeAdvisor is quartered somewhere in California, far away, they’re a lot be in organic but not here. So to take that point hard, this is where we want to aim for, for the direct keyword. So now that we got that out of the way, let us get into how do we find the direct keywords, how do we know what is that people are searching for when they are looking for roofing services around their area. And that is a good place to start is the keyword planner. So if you don’t know what keyword planner is, it is a free tool. Anybody can make a free account and come in and put in pretty much anything. Roofing, let’s do Brooklyn. Okay? I’ll take off the area so it has no areas in this location. And let’s do a search, Brooklyn, New York that is. And you can see. Roofing Brooklyn this term is searched average monthly 480 times every single month by people around Brooklyn. Right? This is based on the last 12 months of data. So it is pretty stable and it basically let us know that this is a good keyword. There is over 400 people every single month searching this in. Right? And yeah, so this is the tool we use. Now, with that, what you want to do is find out all the variations that homeowners are typing in for these terms, right? We don’t have to complicate it. Remember, once you have homeowners coming to your website, one of the main factors which will convert that traffic into phone calls will be your roofing website design. You already know the keywords and in roofing, there’s about maximum 10 variations; roofing Brooklyn, roofing contractors Brooklyn, roof repair Brooklyn, emergency roofing Brooklyn, roof replacement Brooklyn, Brooklyn roofing, you can start to interchange and that’s when it gets longer. But you start without about a list of 10 and then that goes to around thirty or forty or fifty depending on if you already add the words in there. So roofing in Brooklyn, roofers in Brooklyn, things like that, but the point is you already know these terms. What you can do is take an excel sheet and write out all the variations first like 10 and then put all like the stop words in there, like roofing in, add those in and get to a list of about 30 or 40. So I will show you an example I get for Austin right here. Austin TX roofing, roofing in Austin, roofers in Austin, roofing Austin TX, roofing in Austin TX. It’s pretty simple. People always think that they have to hire a special company to do keyword x, no, especially for local, it is not some gold mine that is hidden from us that once you find it, you can go for it. It is easy to rank for you to get thousands of people. But it’s not like that anymore. It is pretty generic. Now, it is somewhat like a bit more content marketing on long-tail keywords but we’ll get to them later. For the generic ones, that is all what you have to do. If you need help with this, you can go to SEMrush. If I do like roofing Brooklyn, let us do it right here and if I take this guy, SEMrush is a good way if you think you are missing out on some of the keywords. What you can do is the city that you are going for, take the top competitor. So I did roofing Brooklyn, got Fabulous Roofing as the top ranker. And then I plug them into SEMrush. This will tell me all the keywords that bring traffic right now. Roofing contractors Brooklyn NY, Brooklyn roofer, roofing York, roofers in Brooklyn, and this is another great way to get anything that you’ve missed. What we’re trying to do is come to a point where we have at least minimum of three to four hundred searches. If you are spending thousands of dollars for an SEO campaign that is trying to rank for Roofing Brattleboro Vermont in the middle of nowhere, where there is no searches, it is not going to make sense. Even if you get to the top positions, you are not likely to get a tremendous amount of business from it. Now, I will be careful how I say things here because there is some other ways to get traffic that I will show you later. But generally, it needs to correlate somewhere. You need to be going for enough areas. So if you are in a city that does not have a lot of search volume, there is different techniques, different strategies, to have a marketing campaign that is going to draw respectable amount of business, which we will get into later on in this series or whatever I’m doing here. Alright, so you get the idea. This is all you need for keyword research. Right now, for Austin, we can see there’s over 3,720 people searching for roofers directly with these direct terms for Austin and nearby areas. Great! That does it. Now, we’re done with this. And for the bonus part that I just want to show you again, another point for a Roofer’s Google maps, is if you go to the keyword planner, we just saw all the terms I put in for Austin, right? And you can see, I mean, I just basically copied all the terms here and put it in there. Right? And you can see all of these have terms. Another thing you can do to find out the other types of search volume that this direct keyword can’t catch is you put the area Austin and just put roofing contractor. It’s now putting in roofing Austin, roofing contractor Austin, just for roofing contractor, people who are typing that in Austin. Normally we keep this blank if you are following me. 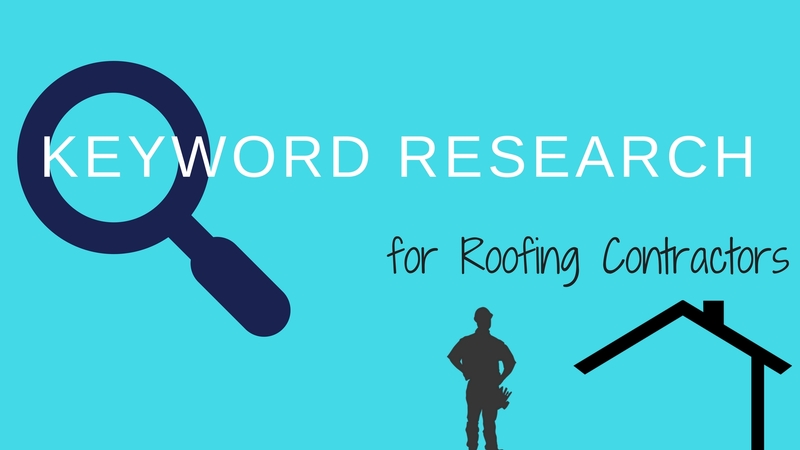 Now, you’ll be able to get the keywords such as roofing company near me. But basically, to make the long story short, the maps are not one dimensional, right? One listing but it can rank for all like hundreds of keywords. That’s why we have such high impressions in our Google dashboard. The maps can rank for things like roofing contractor near me. This is something that change every single time we search. Wherever you search it. If you search it from California it’s going to be different than what I’m searching in because it takes my I. P. while I look at it. And search volume for this, we don’t count in the campaign. This is something extra you have to keep in mind that yes, once you’re ranking for main terms, so for me, it will be Roofing New Rochelle, I am likely to get a bit more off other plane in the game, other search volume in the plane, the mix because we can’t calculate how many people are searching for roofing contractors near me in New Rochelle. There is now way to calculate that right now. So anyways, just so you guys know. Probably getting to the point where I am overcomplicating it a bit. So I am going to stop right there. Basically, to make the long story short, for direct keywords, starting your campaign, which is going to get all the main variations that you want to go for. I mean that are there for what the homeowners are searching every single month. Plug them into Google Keyword Planner and see what kind of search volume comes up. You want to be around at least a minimum of three hundred people searching for services every single month. And that’s not the case if you only have like fifty people searching. We’re going to have to go on a different strategy, which I will show later. All right, having that said, the next part is content marketing. Right? This is basically running a blog on your website. This is where people get really confused. What kind of keywords are homeowners going for, long-tail keywords such as my roof is leaking from two sides. You want to cater to those homeowners because they might not have take a decision right now, but if you can provide value to their concerns, while they are looking for their dream renovation, when they are ready to make that decision, they are likely to come with you. The way to find these keywords, the best way that I always say but people don’t cater to it, is go for the terms that you come across in your daily life. When you’re doing roof repair, when you’re doing your roof replacements, when you are going out there in the job, there’s homeowners that ask you questions like what about this, or do I need to be home when I do this, what is the difference between this and this. If you can take note of those and make those your ideas and then create content from them or if you have a team that can create that content and you just give them a few tips in answering it, that is gold. Because especially for contractors niche and roofing, there’s not much attention given from a user experience point of view. Nobody’s really creating a high quality content like that. You are in the market so you know directly what homeowners are looking for. By creating those kind of content in your blog, you’re gonna get not just topic relevancy, which we’re trying to please the search engines, Google, but you are also actually gonna be creating what homeowners possibly read. Most people who are even having a blog in the website, I mean, most people don’t even have a blog. But if you are having a blog, it is just to please the search engines. Homeowners are not finding that good because there’s always things like 7 tips to choose a roofing contractor. It is like all those generic things. But if you can come and make things like difference between roof replacement, difference between Bronx New York and Brooklyn, New York or difference between Austin Texas City or Austin County, things like that. Homeowners will really cater to that. So that’s the best way to go for that and again if you need help with that, one of the best ways is to go for SEMrush. If you type in, say, Edge 2 Edge Roofing, for example, I can see all kinds of keywords that are going for such as benefits of asphalt roofing, types of roofing materials, things like that. Again, it’s a good way to find out that other competitors that are doing well in this sector, to find out what is working out, how many traffic they are getting, what are they ranking for, how much search volume that word has, it is a great way. But overall, the best way without complicating things is always go by user experience. What is your experience that homeowners have currently showing you out in the market that they are concerned about and then creating content for those and you’ll be just fine. In fact, you will be better than 99% of other roofers. So those are two ways. Hopefully, that made sense. This is the way we do keyword research. And yeah, if you need help with this, shoot me an email. 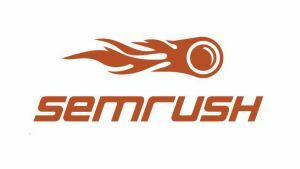 I will get a report from SEMrush. I want you to have your keywords for your city as well as if someone type in long-tail keywords that top competitors are using in your city as well. Thank you for reading. If you want to see this article in video format, check out the Youtube Video below. Don’t forget to Like and Subscribe to Shibga Media Youtube. Talk to you next time. Prior to 2018, these kinds of searches would not qualify for a maps showcase (it would only bring up normal organic results). However, with the recent algorithm change these kinds of keyword searches, Google is able to identify that the searcher is looking for a service that is local to them. Therefore the Maps 3 pack will be shown. Roofing Contractors Can Benefit From Google Maps 3 Pack? Roofing Demand in Your City – Exactly How Many Homeowners Look For You?